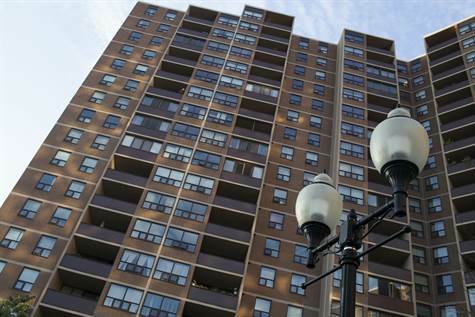 An estimated $25 billion worth of condominiums are under construction across the GTA. A record number of units — development research firm RealNet estimates close to 20,000 — are slated to be completed in 2014. Currently 63,909 new condo units are under construction across the GTA as of the end of October, according to RealNet. “Exactly how many units we’re actually going to see occupy (in 2014) is really hard to predict because we’re entering a phase that is uncharted in history. We’re completing more units than we’ve ever completed because more units were sold in 2011 than have ever been sold in history,” says RealNet president George Carras. Well, not quite all of them. More than 28,000 condos sold in the preconstruction phase in 2011, the most by far in a single year. Many are unlikely to be completed for another year or so because of construction bottlenecks — a shortage of skilled trades and equipment — that have limited completions to about 16,000 units a year. But so many are already well underway, Carras believes we could see closer to 20,000 new units open for the first time in one year. And that’s left developers scrambling to make sure all goes smoothly, not only with The Big Move but, more importantly, with The Big Close. Developers, and federal finance minister Jim Flaherty, will be watching closely to see how many condo buyers struggle or fail to close on units they bought in the preconstruction phase two or three years ago with meagre down payments, before tighter mortgage lending rules and last year’s slight bump up in interest rates made finalizing deals more difficult. In the past few months, mortgage brokers, realtors and developers have seen a surge in people, especially the self-employed, “scrambling” to get final financing from institutions that have not only toughened lending requirements, but grown more leery of the condo sector. Already, some buyers have had to walk away from deposits or borrow from family or secondary lenders at higher rates. Others have sought developer approval to put their units up for sale on the so-called “assignment market” as the project was just coming to completion, in hopes they could find a new buyer before final payments were due. Veteran condo developer Scott McLellan of Plaza, whose company has an unprecedented 2,511 new units coming to completion in 2014, on top of more than 1,100 that closed in Liberty Village in late 2013, acknowledges the coming surge of closings is being watched closely. “There is a concern in the industry,” acknowledges Plaza’s senior vice president. “There are a lot of bigger projects closing” in 2014. But McLellan believes the closings at Plaza’s King West Condominiums in Liberty Village are a sign that all will be fine in 2014. Of the 1,141 King West units sold in the preconstruction phase over the last two to three years, just two buyers did not close. One died and the other could not be located. About 100 units were sold on the assignment market before final payments were due and all the new buyers have closed, he says. He estimates that 40 per cent of the project is owned by investors, and most are leasing out their suites for hefty rents rather than flipping the suites for a profit: Just 36 (or three per cent) of the units have been sold on MLS so far and another 21 units are up for sale. Condo realtor turned developer Brad Lamb believes “the great Toronto development boom is over” and that condo sales, which averaged about 19,425 units a year from 2010 to 2013, will slip to an average of 12,000 a year as developers continue to hold back on new project launches. Veteran development consultant Barry Lyon believes sales will average 12,000 to 15,000 units a year going forward, more in line with demographic demand. He sees 2014 as the year of incentives — from free parking or lockers to breaks on maintenance fees — as a way for developers to entice buyers back to their showrooms. “Developers will be trying to win over markets they’ve been ignoring for the past several years, particularly first-time buyers and the end-user market,” says Lyon. That should mean more of a focus on small or midrise condo projects where owner-occupants actually care about the look, size and feel of the unit because they plan to live in them, rather than own them as investments and rent them out. “The new sweet spot will be buildings with 100 to 150 units” along main streets just outside the downtown core, Lyon believes. Mississauga council passed a 6.1 per cent increase on the city’s portion of the 2014 tax bill Wednesday, as councillors fretted about the city no longer being debt-free, projects going unfunded, and a growing infrastructure deficit. “The property tax is not sustainable for municipalities across the country,” Mayor Hazel McCallion said just before the 2014 budget was given final approval. McCallion, 92, has said this will be her last term but, with the city she has led for 35 years facing dire times financially, after stepping down she’ll continue campaigning for better financial support for cities. The city tax increase, plus a 0.6 per cent projected increase in the Peel Region portion, results in a 2.4 per cent hike in the overall tax bill for a Mississauga property owner in 2014 — assuming the provincial education portion remains unchanged, as it has for about a decade. Mississauga’s tax hike alone represents an extra $18 on every $100,000 of assessed property value. With numerous infrastructure projects having to go unfunded to keep the tax increase reasonable and $36.6 million of new debt on top of the $50 million in debt issued this year (the city had been debt-free for decades), MIRANET, a ratepayers umbrella group, had grim words for councillors about the city’s “economic difficulty.” McCallion acknowledged that a city once flush with development dollars has found that revenue source depleted as it has been built out. “That is why we’ve been out of debt for so many years, because we’ve had those reserves to call on,” she explained. MIRANET criticized the budget for its failure to set aside funds for the planned $1.6 billion Hurontario LRT, which has yet to receive any senior government money. McCallion is adamant that the city should not have to cover any of the capital cost of the LRT, given that the province is paying the capital costs of Toronto’s Eglinton Crosstown project. The province has said municipalities need to pay their share of transit expansion. MIRANET called for a freeze on the salaries of non-union staff, but council voted to approve the 2 per cent pay increase included in the 2014 proposed budget. The city’s total labour costs, including benefits, have risen from $379 million in 2010 to $445.5 million in 2014. A resident at Wednesday’s meeting questioned the labour costs, suggesting that departments such as planning and building should be scaling back. “Shouldn’t you be cutting back on these staff, now that there’s no new development?” he asked. Development-related revenue is indeed plummeting, such as building permit fees. Only $19.9 million in development charge revenues are projected to go into city coffers in 2014, compared with the post-2000 peak figure of $52.7 million, garnered in 2007. 1. Depersonalize. A potential homebuyer needs to picture herself in your rooms, and quirky decorating or pictures of the kids hurts the illusion. 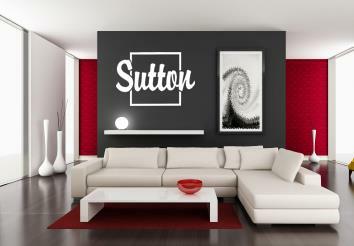 Remove all family photos and, if necessary, paint brightly coloured walls a more neutral shade. 2. Make sure everything in the house is in top condition. No torn screens, cracked plaster or burnt out pot lights. You may have gotten used to seeing them, so tour your house with a critical eye (or ask someone else to), and repair anything that needs it. 3. Chandeliers. One of Tavazoie's favourite low-cost, high-return investments is chandeliers. "People think you have to spend a fortune on lighting, but you can go to any big box store and get beautiful ones for, at most, a few hundred dollars," she says. "Many houses don't have enough lighting to begin with, so if you're having the electrician in anyway, have more overhead fixtures installed -- or at least buy some great lamps." 4. Be aware of scale in the house when it comes to furnishings. You might have a giant sofa that you love, but if it makes the room look small, it has to go. Aim for small groupings of furniture (ideally more than one in a room, especially a large one), with plenty of space around them. 5. A clean kitchen. Kitchen counters should be clear and clutter-free. A single bowl or vase holding cooking utensils is okay, but that's about it. Store small appliances in cupboards if you must. Live in High Park - Walk to Subway! Unique Detached House with Old World Charm and Low Maintenance so You Have Extra Time to Enjoy the Neighbourhood! Bloor/Windermere, Toronto - Live in High Park Walk to Subway - Unique Detach with Old World Charm! Immaculate, Spacious, Very Solid, 3 Bedroom, 2 Bath Detached Home On Very Desirable Quiet Court. Large Living room With Fireplace And Under Broadloom. New Roof + Furnace. Eat-In Kitchen Walk Out Large Deck. Spacious Master With 4 Piece Ensuite. Very Dry + High Basement. House Needs Some Tlc. 2 Parking. Extras: Fridge, Stove, Dish Washer (As Is), W/D, Electric light fixtures. Great Deal in a Neighbourhood with a high Walk Score! 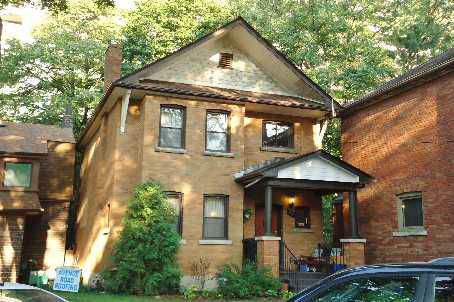 Beautiful Home In Very Desirable Family Street Near High Park, Bloor Subway, Good Schools, 15 Minute to Downtown. Come and see why High Park Bloor West neighbourhood is so sought after! Floor Plans And Status + Inspection Report Available. To browse this and other listings, please visit www.johnczan.com. Penthouse Condo Under $220,000! One of Etobicokes Best Condo Deals Per Square Feet! Over 1300 Sqft! 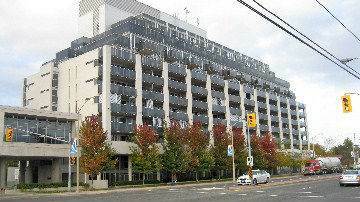 Etobicoke, Toronto - Etobicoke PENTHOUSE CONDOS for Sale UNDER $220,000! Can You Imagine Owning a Penthouse at this First Time Buyers Price! Very Spacious 2 Bedroom Plus Den - Could be Used as a 3rd Bedroom - OVER 1300 SQUARE FEET! ATTENTION Buyers Looking for the Lowest Priced Condos in Toronto! One of Etobicokes BEST BUYS Per Square Feet! Imagine This BIG SPACE at This Low Price! This is your opportunity to own a Bright & Affordable Penthouse With Southwest Facing Quiet Courtyard View. LIVE ON THE TOP FLOOR! Well Maintained Building With Great Access To Highway. Close To Centennial Park, Minutes To Airport, Lots of Shopping and Good Transit! Maintenance Fee Includes ALL Utilities and ROGERS Digital Cable -- No Surprises - Just Move in and Enjoy! Perfect For First Time Buyers!! To view this and other listings, please visit www.johnczan.com. Modern Open Concept Unit Stunning View! 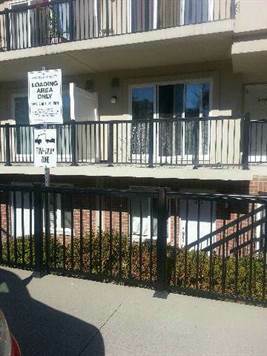 • 1 bath, 1 bdrm apartment - MLS® $244,900 - Spacious and Bright Unit! Islington/Queensway, Etobicoke - 1040 The Queensway Condos - Spacious Open Concept 587 Sq Ft One Bedroom With 2 Walk Outs To A Large 100 Sq Ft Balcony ! Overlooking Beautiful Residential Landscape And Gorgeous Sunset! Quite North Side Of The Building! Laminate And Ceramic Flooring Throughout! Elegant Black Appliances! Large Bedroom With Double Closet And Walk Out To Balcony! Freshly Painted. Ensuite Laundry! Large Parking Space And Locker! To view this and other properties, visit www.johnczan.com. Condo Townhouse For Sale in Islington/Finch Under $250,000 at Harmony Village. Islington/Finch, Toronto - This Is Your Opportunity To Own In Harmony Village Phase 2! Looking for an Affordable Condo Under $250,000 and with Ultra Low Maintenance fee - $212.00 ! This Lovely Two Bedroom Condo Townhouse In Humbermeade Toronto Is Nearly 1000 Square Feet and Move in Ready! Sparkling Clean - Beautiful Colour Tones Chosen from the builder - Elegant Cabinetry and flooring colours. Near Finchdale, Finch Weston & The Albion Shopping Centre, Schools (Daystrom, Bluehaven, Gracedale, Humber Summit, St. Rosh, St. Andre, Etobicoke-Humber Etc...) / Humber College. Liberty Village Townhouse at 50 Western Battery - Multi Level with Offers a Great Layout! Check out the Photos! The Heart Of Liberty Village! Liberty Village, Toronto - Liberty Village Townhouse - Highly Sought After Spacious Multi Level Townhouse In Heart Of Liberty Village With Amazing Rooftop Terrace With Gas Line For Bbq. Walk To 24 Hour Metro, Bars & Restaurants, Lcbo, Starbucks,Gyms And Public Trans. Beautiful Cherry Cabinets And Laminate Flooring. Kitchen with Stainless Steel Appliance Included. Master Bedroom With 4 Piece Ensuite and Double Closet. 2 Berooms, 2 Full Baths, OIver 1000 square feet. Extras: Stainless Steel Refrigerator, Stove, Built-In Dishwasher, Built-In Microwave, All Electrical Light Fixtures, Stacked Washer/Dryer. Hvac/Hot Water Tank Rental $85/Month. Custom Window Coverings. Owned Locker And Parking Spot. Beautiful Curb Appeal, Stone and Brick Front - Wonderful Complex. Looking for a Townhome In Liberty Village? Call Us Today For Our Top FIVE Favourites! To browse this and other listings, please go to www.johnczan.com.